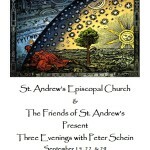 St. Andrew’s Episcopal Church and The Friends of St. Andrews welcome educator and contemplative, Peter Schein, for a three-week series entitled, Energy, Presence, and Dialogue. These three evenings will help us learn to listen, with real attention, to our bodies, to our feelings, to our minds, and to the processes of being with each other in true conversation. After taking a degree in mathematics from M.I.T, Peter embarked on what has become a lifetime of seeking and learning about contemplative practice. Peter has trained in monasteries and in schools to explore the integration of body, mind, and creation. July 3, 2015 @ 7p.m. 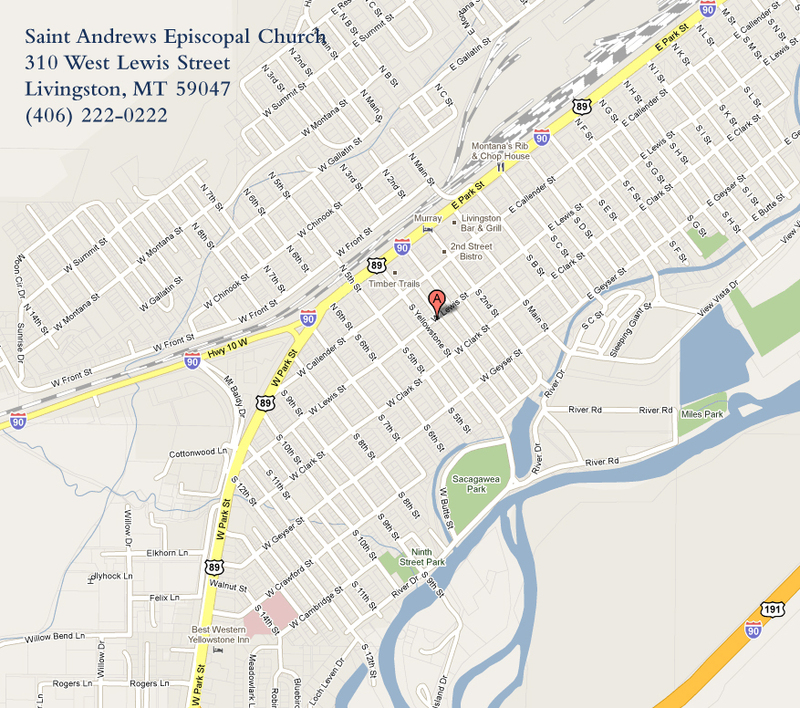 World renowned Celtic Spirituality Teacher to Visit St. Andrew’s Livingston, Mt. The Reverend John Philip Newell — one of the most prominent teachers of Celtic spirituality in the English-speaking world — is coming to Livingston. Newell is a poet, peacemaker, and scholar who teaches and preaches all over the world on themes related to the sacredness of the earth and the oneness of the human soul. For more information on Newell, visit his website at www.heartbeatjourney.org. Please join us for a three week series on practices to help us deepen our life of prayer and meditation, drawn from the wisdom traditions of the world and our own Christian path. A light supper of soup and bread will be served at 6:30 pm, and our program begins at 7:00 pm.